What types of providers are legally permitted to deliver babies in Texas? The State of Texas legally allows three types of providers to deliver babies. These are: Physicians (usually Board certified in Family Medicine or Obstetrics and Gynecology), Certified Nurse Midwives, and Licensed Midwives. Licensed Midwives will be emphasized because they perform the vast majority of OOH births in Texas. Other states may allow providers such as traditional midwives, parteras, or Certified Midwives to deliver babies. These providers are not legally permitted to practice in Texas. What are the differences in training or qualifications among these providers? Physicians complete at least four years of college at an accredited institution with prerequisite coursework for medical school and then complete four years of accredited allopathic or osteopathic medical school. After being awarded the MD or DO degree, the physician completes at least three years of accredited residency in their chosen specialty to become Board certified. Residency is on-the-job training, in which the young doctor is practicing with supervision from senior attending physicians. MDs and DOs may practice in all 50 states and around the globe. You can learn more about the road to becoming a doctor here. Certified Nurse Midwives belong to a class of nurses called Advanced Practice Registered Nurses (APRNs) and are certified according to the requirements of the American Midwifery Certification Board. To obtain the CNM credential, one must complete high school, a four year accredited Bachelor of Science in Nursing degree, and a two-year accredited nurse-midwifery program which awards a Master of Science in Nursing (MSN). Some programs offer a Doctorate of Nursing Practice (DNP) degree. The nurse can then apply for certification through the AMCB. They are able to practice legally in all 50 states. In Texas, CNMs are not independent providers and require supervision by a physician. That physician may delegate prescriptive authority to the nurse-midwife so that they can prescribe medications. As discussed on the REGULATION page, many, but not all Licensed Midwives in Texas are Certified Professional Midwives. The Certified Professional Midwife (CPM) is granted by the North American Registry of Midwives and is based on the MANA Core Competencies. CPMs are recognized for licensure in 31 states, but not all states require licensure. Apprentice with a qualified midwife, completing an Entry-Level Portfolio : Process (PEP). This process requires the aspiring midwife to observe ten births, assist at 20 births, and attend 20 births as primary midwife (under supervision). The teaching midwife must have three years experience as a CPM or have attended 70 births. Obtain a license from their state first, and then apply for certification from NARM. This applies if the aspiring midwife’s licensing state has met “educational equivalency” requirements set by NARM. These applicants must also report ten births as primary midwife in the last three years. They are then awarded the CPM credential. 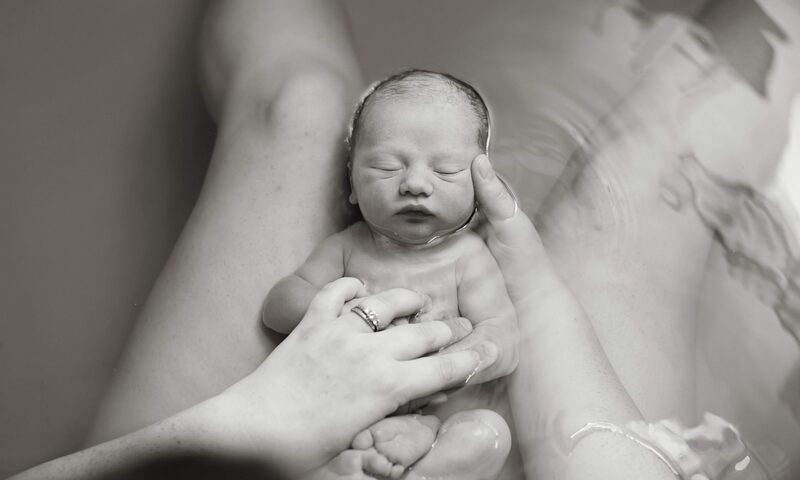 The point is: Nurse-midwifery programs accredited by the American Midwifery Certification Board and Direct-entry midwifery programs accredited by Midwifery Education Accreditation Council meet the above standards. But about two-thirds of CPMs are trained in self-study and apprenticeship programs, or are certified after state licensure, and do not meet ICM standards. Without independent accreditation and standardization of education, there is no way to ensure that the midwives produced through these pathways are competent to perform their duties. For this reason, the American College of Obstetrician Gynecologists issued a Policy Statement on Midwifery Education and Certification endorsing the ICM standards, and stating that they support legislation that would improve the quality and consistency of direct-entry midwifery education in this country to meet international standards. The infographic below summarizes the education and training of birth attendants in Texas. You can find a more thorough comparison of CNMs and CPMs from the American College of Nurse Midwives here: CNM versus CPM Comparison Chart. Baylor University’s Louise Herrington School of Nursing in Dallas is one of two CNM programs in Texas. While the Accreditation Commission for Midwifery Education does not set a required number of deliveries for graduates, the Baylor program requires 50 vaginal deliveries as primary midwife for graduation. The two direct-entry midwifery programs in Texas, as well as the Midwifery Education Accreditation Council were contacted for this article. Neither the schools nor the accrediting body have a minimum standard for primary deliveries required for graduates.